Adobe Spark Post is a free graphic design tool that has been available online and as an iPad app for a few years. Last week it finally became available for use as an Android app too. 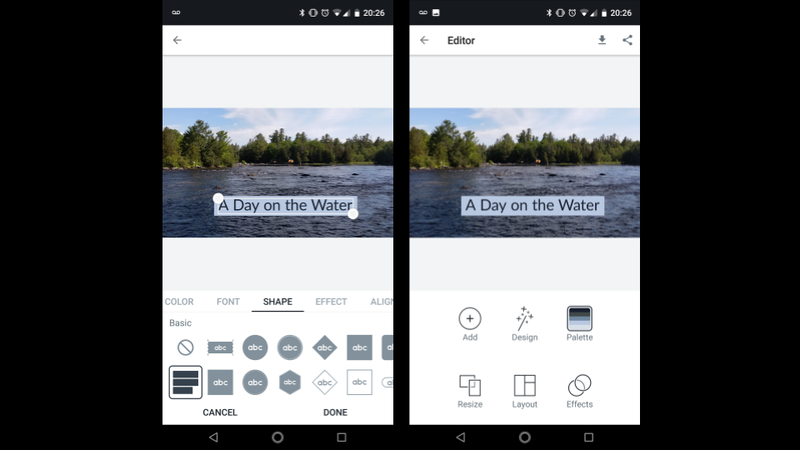 You can use Adobe Spark Post to create photo collages, to edit your images for sharing on social media, to make announcement graphics, or even to design great-looking slides. Adobe Spark Post provides a huge gallery of design templates that you can use or you can go on your own to design from scratch. One of the thing that I like about Adobe Spark Post is that even if you don't work with a template it will make suggestions for color schemes and font choices when you import your own images. Get the Adobe Spark Post Android app here.